Can you imagine having something sweet and tangy on your deep fried fixings? I can assured you it can happened! I was told of a place here in Beverly Hills that had just opened up with a sauce that will dazzle you to no point with the opulence of the sauce in enhancing your deep fried chicken or seafood. 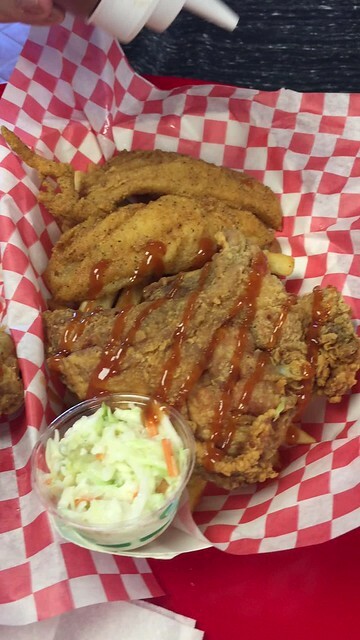 Mild Sauce is the name of a Chicago style tradition of having that flavor and richness on to your fried fixing. We all can gathered in that Hot is associated Nashville, while Savory Spicy is associated with Southwestern Texas. 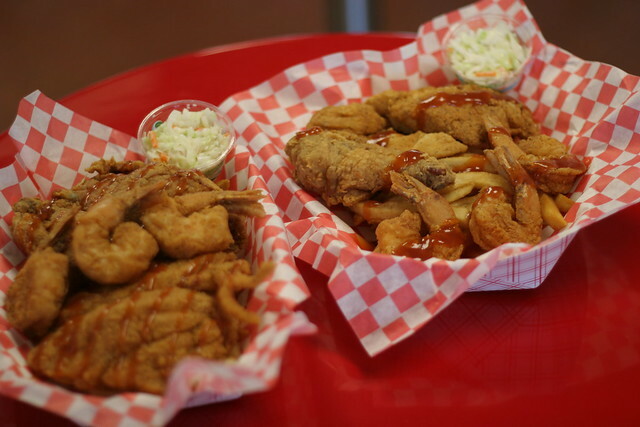 I never really knew that there is a distinct flavor with fried treats associated with Chicago until it was passed on to me that I need to try Chicago style chicken and fried catfish. Apparently, Mild Sauce will change my perceptions instantly. No joke, it did changed me. 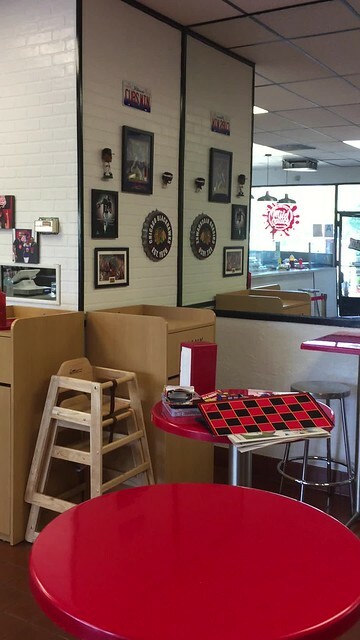 The thing that struck me about coming to this no-frill fry house was they kept a tile top counter by the entrance with a look of a happy 50's cafe diner. I was feeling jovial about the fact it kept some reminiscent of bygone years. When I was greeted by one of proprietress of the joint, I was warmly welcomed by a woman named Fix. That's when I knew I was going to be in good hands! Yes, I did spelled the name right. After the made-to-order Trio Combo I have ordered was placed in the deep fryer. I also had the chance to examine the sauce that was raved by many of the Chicago's transplants. Yes, this establishment was fondly from Chicago and I was pleasantly surprised to find out that many of the well known celebrities have already made a visit here. Yeah I know...it's Beverly Hills. The feeling was that so many high end dining can be had, but they chose to make a pit stop here. There are also plenty of deep fried chicken places these days, so why here? Then it hit me when I take my first bite... it's the sauce. The richness of the sauce oozes out of the bottle that was provided. I can have them to spray the sauce for me or doing it on my own. Frankly I was conservatively with the pour before the first bite, but gang way.... no stopping with the pour from here on out. The Trio combo I ordered was one piece of chicken, catfish, and shrimps deep fried with crispy battered glistened on each of the battered goodies. 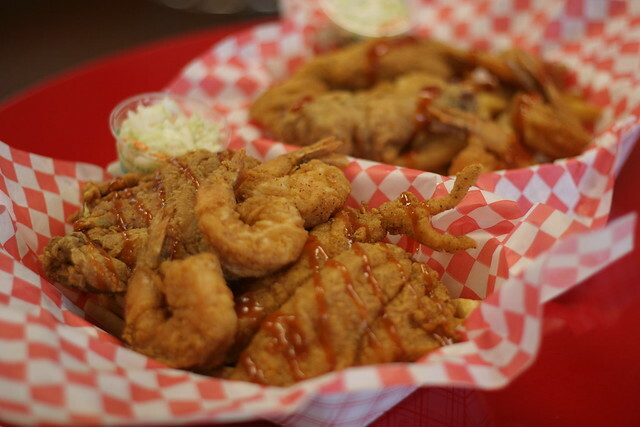 Fries and a cole slaw was our companions to the trio that made its way to our battered goods. The main attraction was the sauce. Was it a secret recipe that is too hard to duplicate? Or was it just something that is not marketed it like hot sauce like the southeast brethren from Nashville? It got to a whole point where we wondered why didn't people think of a sauce that doesn't need to be spicy or hot can be a compliment to deep fry goods? Does it always need a kick? As you can tell, it just needs to wet our taste buds. This sauce was an awakening that I need, to be realized a good deep fried chicken like Mild Sauce restaurant can provide can enhanced the flavor. It works well on the chicken leg and breast we got. I do think their catfish was already good enough before the sauce, but it only up'd the level when it was slathered on . A fantastic revelation that I didn't know until this visit. The old joke of what's the different between Chicago Fried chicken versus other fried chicken is not wrong... the difference is the sauce.